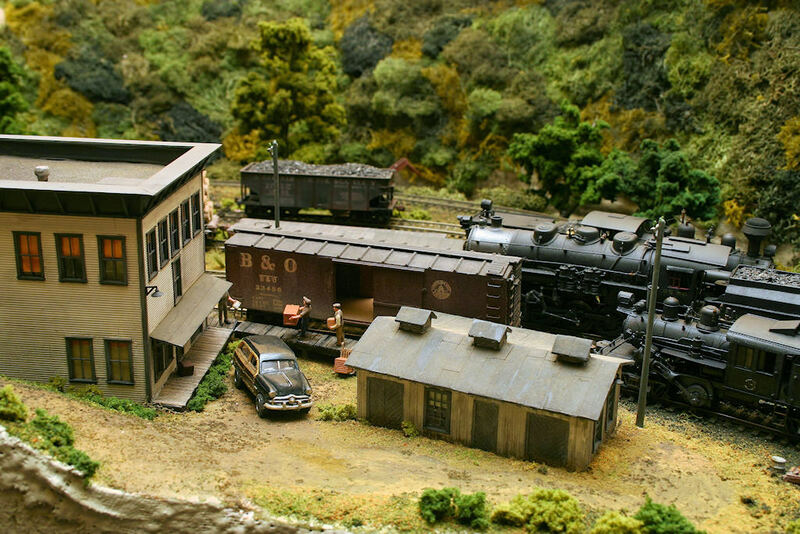 Phil is a long-time B&O fan and recently became interested in the BC&G through Deane Mellander’s and Bob Kaplan’s book “B&O Steam Finale Volume 1.” The original thought was that the BC&G would be an ideal short-line to model with the B&O. 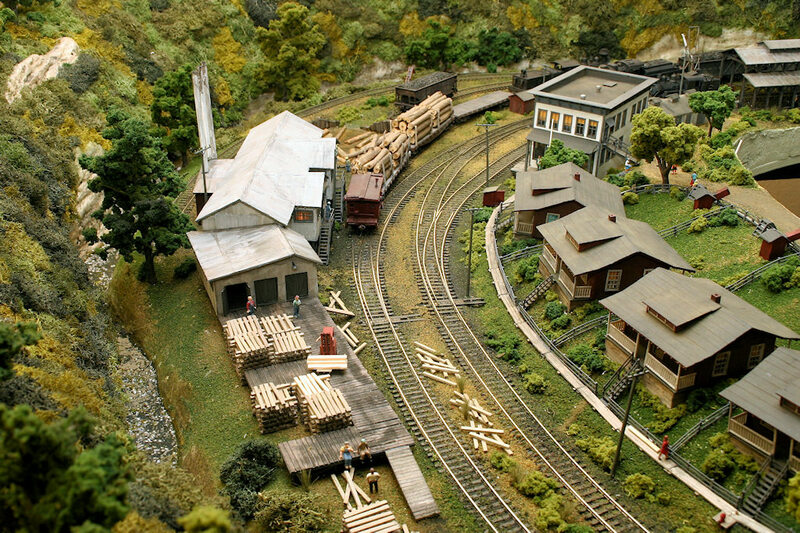 As time passed, the BC&G and ERC&L became the more dominant roads on the layout. 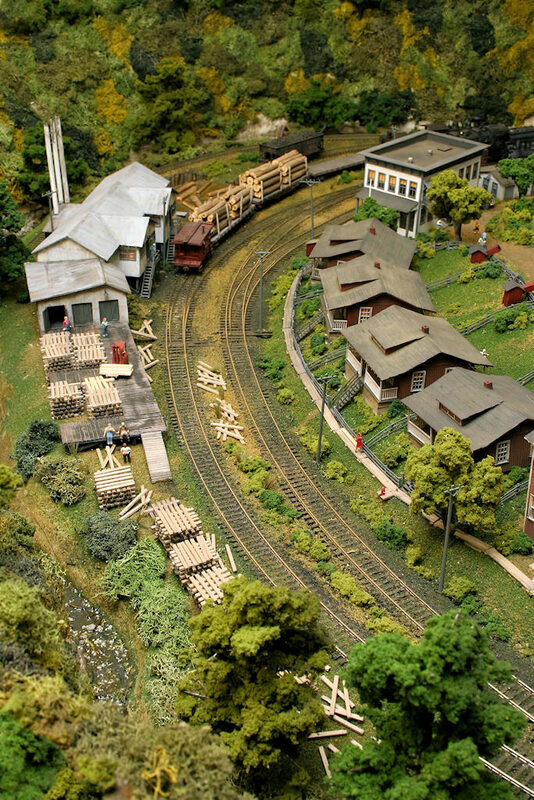 Through the use of the Internet and topographical maps Phil developed an HO layout plan that is 20′ 7″ x 15′ 2″. The time period is the late 1950s. Steam and diesels were both in use on the B&O. 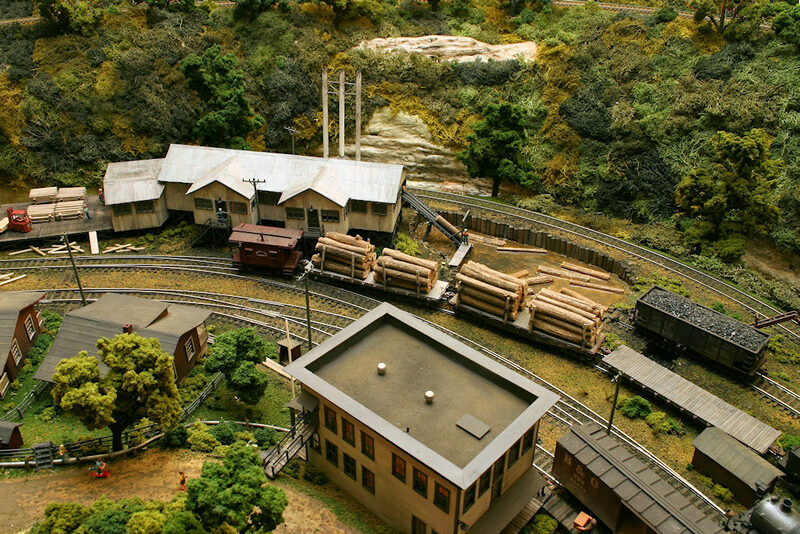 The layout is currently under construction, 300 feet of track has arrived and 50 of the 65 turnouts have arrived (Shinohara turnouts are a little hard to obtain). The BC&G will include Dundon (station, shops, company houses and store), Avoca wye, Sand Fork, Cressmont (dairy), Swandale (sawmill, engine house, company store and houses) and Widen (mine, tipple, power house, Widen bank, company store & houses). The ERC&L will join the BC&G at the Avoca wye and will include the Lilly Fork. The vertical separation between the two railroads will vary from 4″ were they cross to 7″ at Swandale and 8″ at Widen. At Widen the ERC&L track will be at eye level. 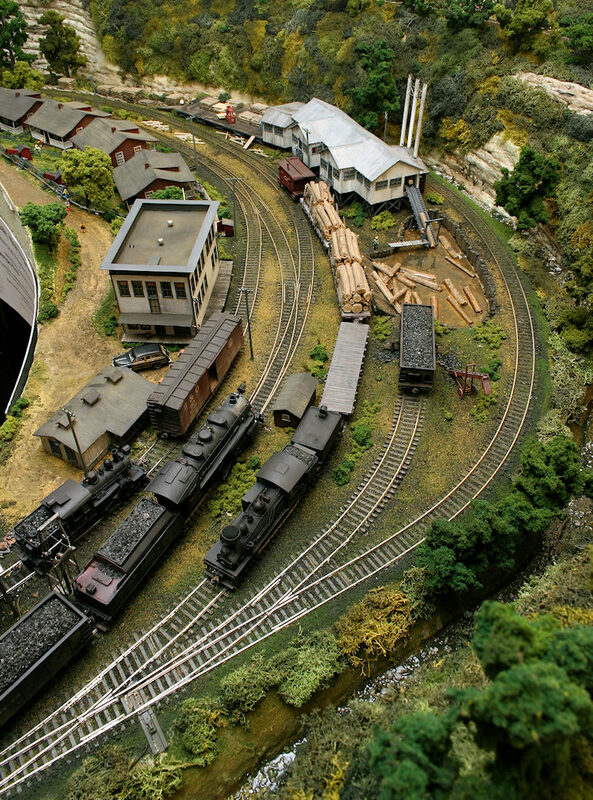 The B&O starts and ends at Division City. It passes by Dundon and the Elk River, enters a tunnel and continues on a lower level below the BC&G, reemerging through tunnels into Division City. Its plan is a simple “L” shaped oval with passing sidings and two reversing loops. 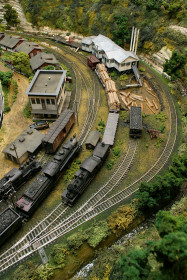 The B&O is planned to expand into another room where Kanawha City, with an industrial switching area, and Strange Creek, with another coal mine and a paper mill, will be located. Also, a wye is planned for the B&O tracks below Widen that will lead to B&O staging tracks. 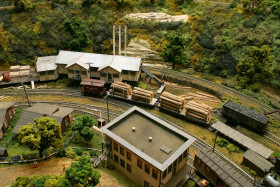 Phil’s goal is to capture the character and surroundings of the ERC&L and BC&G and bring them back alive through his layout. The layout will be a never-ending project and hopefully, a constantly improving one. 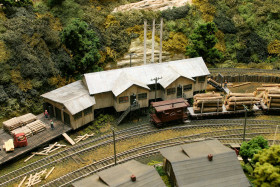 These photos of the award-winning Swandale module were taken at the Gateway Division NMRA 2008 Train Show and Model Contest. 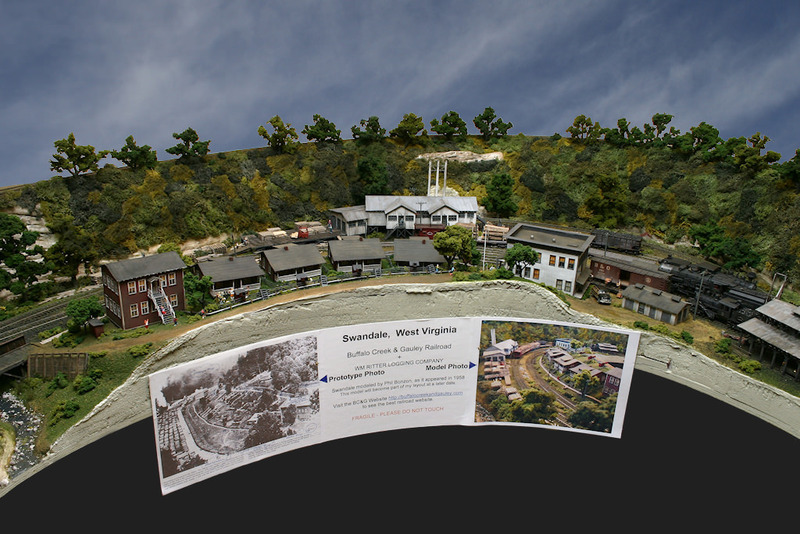 Do you have the West Virginia Midland book from Bob Marsh? His GF was the last superintendent on the WVM. We MIGHT be the only two guys in the world modeling WVM, LOL.